Apple released the first iPod on October 23, 2001, about 8½ months after iTunes for Mac only was released. Its price and PC-incompatibility caused sales to be relatively slow until 2004. 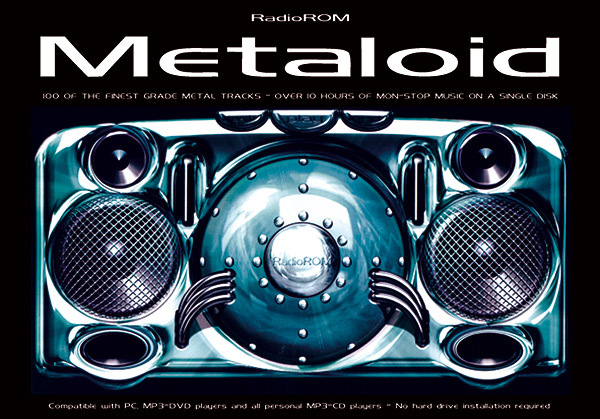 Development of the RadioROM mp3 player application and 100-track music compilation disk started in 1999. 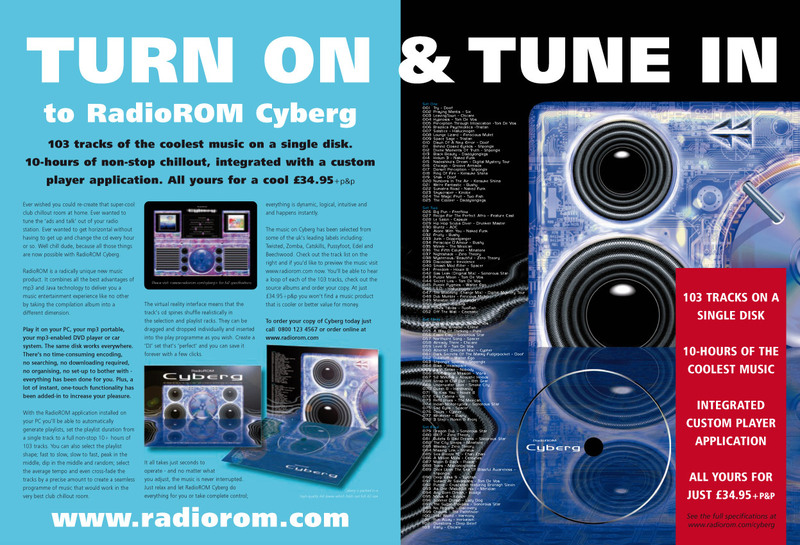 After 2-years work in bringing the product to market the first RadioROM release called Cyberg was bought by Philips in August 2001. 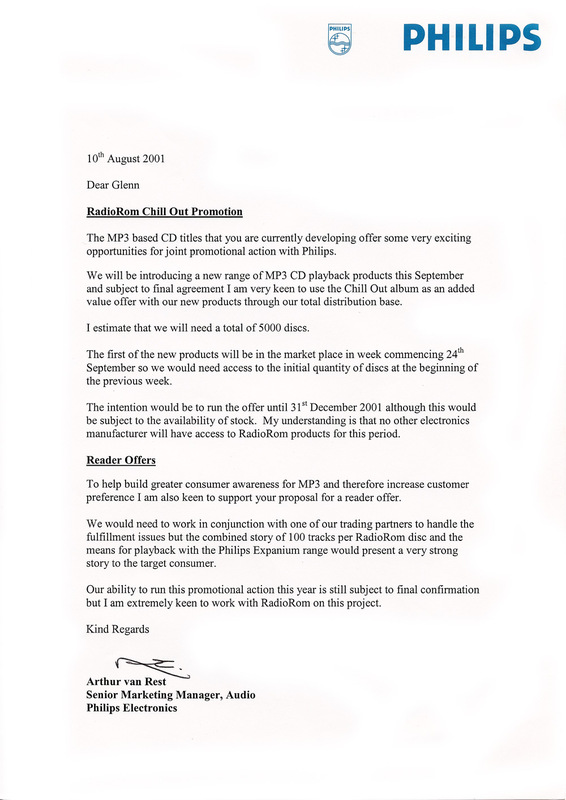 Expanium range of portable mp3 enabled disk players. 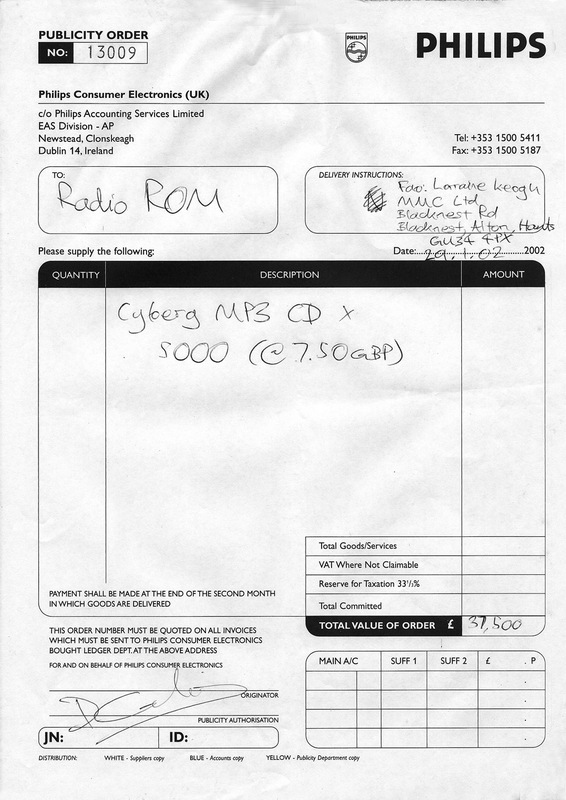 The CD or digital audio disk was developed by a joint task force set up and funded by Philips and Sony in 1979.
and the new micro-drive players like the iPod from Apple and units from many other manufacturers. are still widely available. 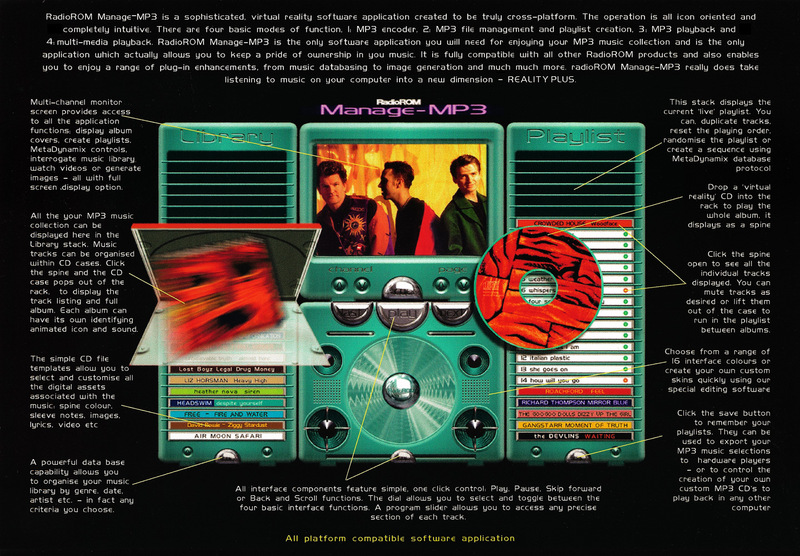 Yet there is still no product that utilises mp3 technology like RadioROM. 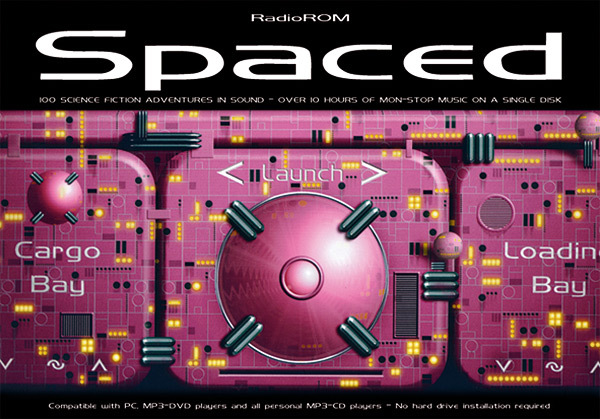 full-screen ‘virtual reality’ interface, all delivered on a single 12cm CD-ROM disk – for under £30. 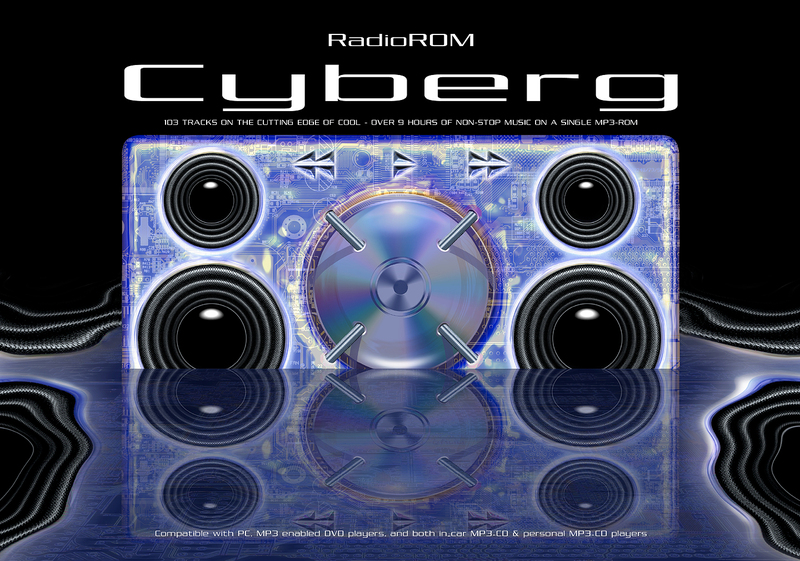 All RadioROM music collections, like our first release RadioROM Cyberg, will contain 10-hours (or more) of music. o create the effect of a DJ controlled club chill out room – in seconds! 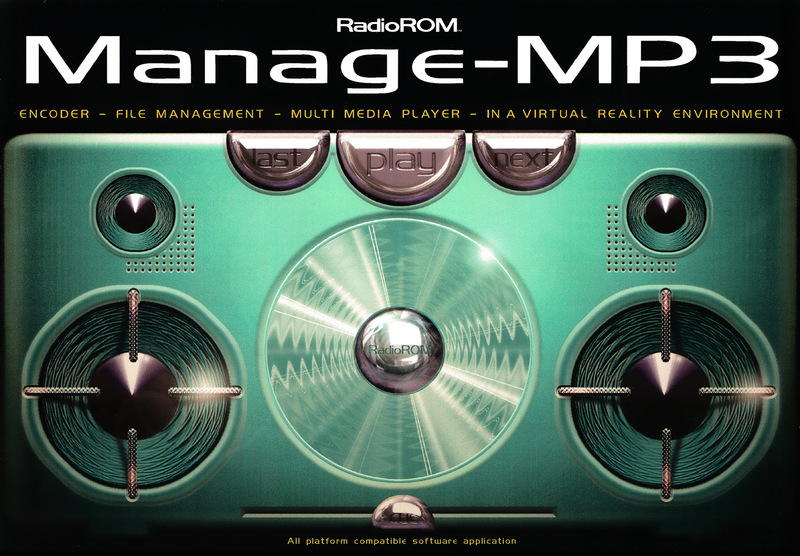 The RadioROM player application requires a quick installation and does NOT require a computer restart. 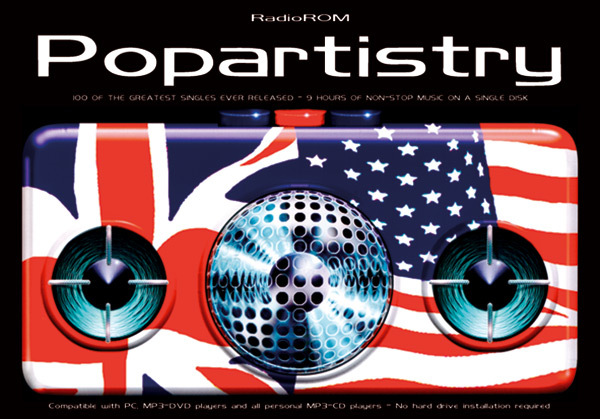 and compatible with all mp3-enabled players; in-car, personal and DVD. the default playlist is effective when the disk is played back on a machine other than a computer. by top artists, represented by independent record labels in the UK, USA and Europe. In addition, our selection policy ensures that 10% of the music featured on a collection is from unsigned artists. In almost all playing environments, the listener can identify instantly the name of the artist and the track title. an innovative and appealing product. 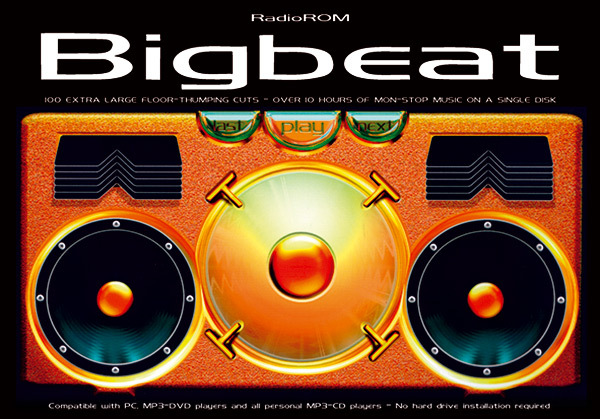 mp3-enabled in-car players, mp3-enabled personal/portable audio players and mp3-enabled portable DVD players. 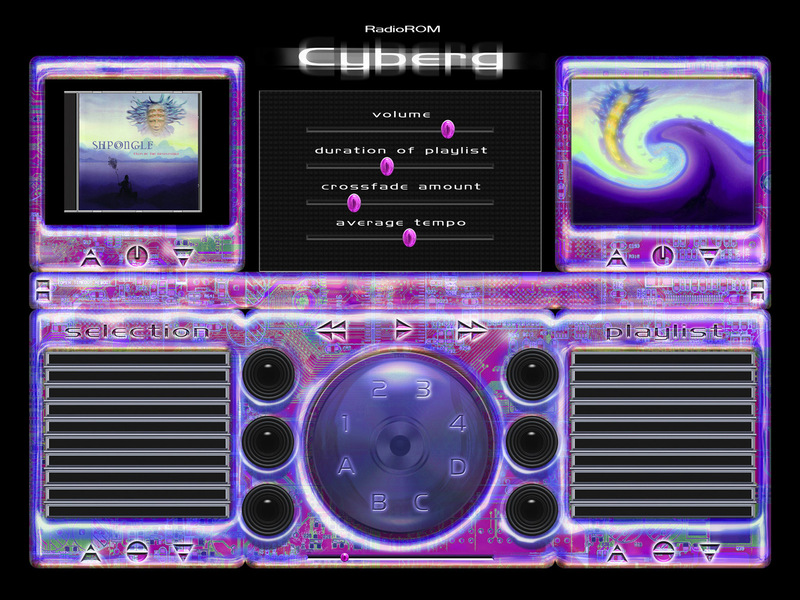 Furthermore, RadioROM is also unique because of it’s cross-platform portability. both Apple McIntosh and Linux. The application is so small that all versions of the software can be contained on the same disk. Multi-media software player applications like Windows Media Player, iTunes, WinAmp, Audion etc are all platform specific. which already have huge market penetration. stems from the notion of providing the ‘perfect’ music radio station. recent research findings show that an average 1-hour of music radio subjects the listener to 3000 spoken words. without enduring constant interruptions and heavy and constant selling. and the content overlap between stations is increasing. to match the mood and ambience requirements of a situation or location. 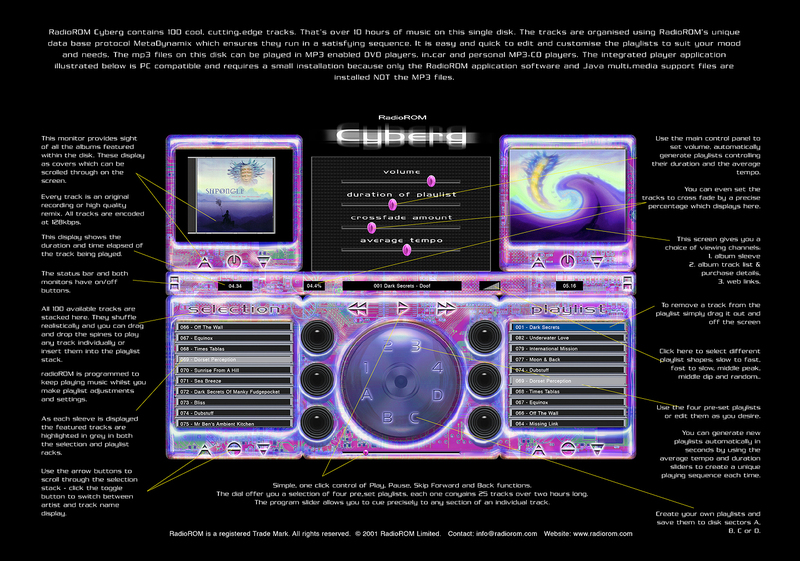 RadioROM represents the first time that the music content has been fully integrated with the mp3 player. 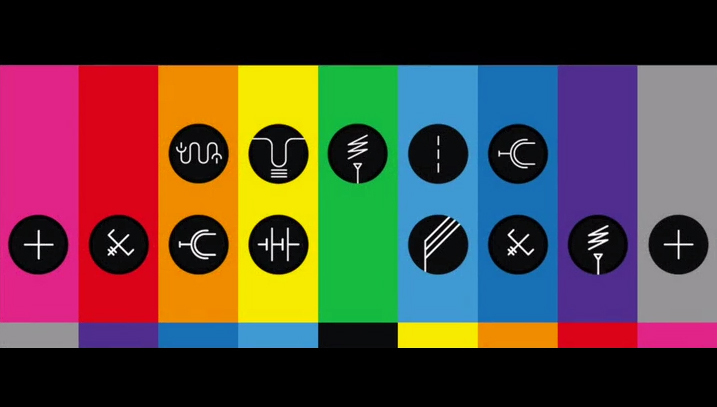 profiled and organised to take into account tempo, key, mood, feel, style, instrumentation etc. 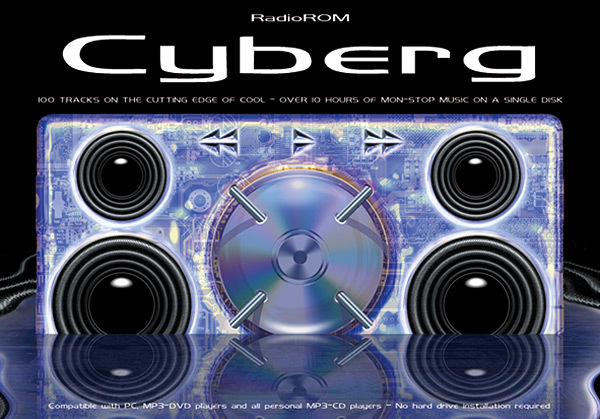 For example, RadioROM Cyberg can be set up to run for 10 hours in less than 30 seconds. with income and potential sales – rather than adding to their promotion costs. Also integrated into the RadioROM product are details of all the source albums of the tracks featured within the product, along with images of the CD cover, original track lists and other information, plus links to facilitate purchase of the source albums on-line. This is valuable for the labels and artists and convenient for the listener. player application would mean that future products will include work from film-makers and computer/visual artists. as and when the playback hardware penetrates the market more broadly. Already, portable mp3-enabled DVD players, with 5” LCD screens are becoming available for around £300. styles and artists, far more comprehensively than could be achieved by a single record label. and in so doing penetrate new sections of the market. to create a high value but low cost entertainment product, with huge potential for further development. pre-packaged, self contained, low-cost music product. 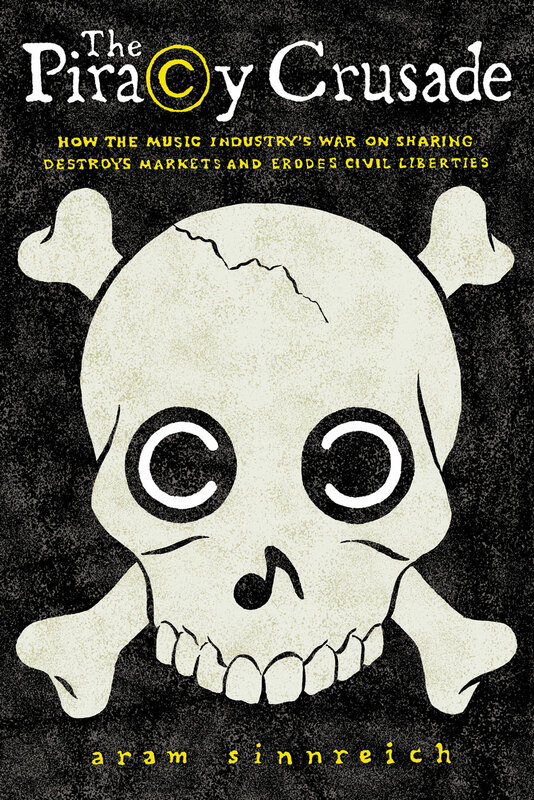 the claim that “internet pirates killed the music industry” has become so ubiquitous that it is treated as common knowledge. a “cybercrime” similar to identity fraud or even terrorism. by today’s cultural cartels—the handful of companies that dominate the film, software, and especially music industries. to experiment with innovative cultural and entrepreneurial ideas predicated on the belief that information should be shared widely. with difficult choices: adapt to this new environment, fight the changes tooth and nail, or accept obsolescence. Their decision to fight has resulted in ever stronger copyright laws and the aggressive pursuit of accused infringers. or on well-intentioned civilians caught in the crosshairs of file-sharing litigation. —policies that threaten to undermine the foundations of democratic society.